In Guatemala, CIA backing for the 1954 coup that toppled the democratically elected Arbenz government (tarred as "communist" in the cold war climate) led to civil war between 1960 and 1996, ending with the signing of the peace accord in Mexico City. That initiated a new era with respect to the country's complex ethnic landscape, where 24 indigenous groups comprise 40 percent of the total population. Guatemalans remember how, with U.S. backing, the military regime in the early 1980s leveled over 600 indigenous villages, slaughtered or disappeared some 200,000 indigenous people, internally displaced 1.5 million more into so-called strategic hamlets, and drove over 150,000 Maya into exile in Mexico and Honduras, genocide by another name. 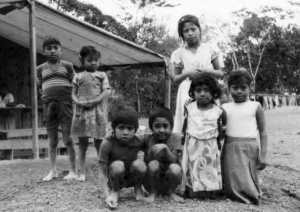 At that time, not far from the archaeological ruins of the Classic Mayan city of Copán, I was in western Honduras, working in a U.N. refugee camp that offered tenuous protection to Kekchi Maya fleeing for their lives across the border from Guatemala. In that troubled context, I came to appreciate the profound character of Maya spirituality and cultural resistance, and discovered Maya marimba, guitar and flute music. In an uneasy era of peace in Central America, where memories of Maya genocide remain as strong as elite fears of Maya retribution, a new generation of artists has emerged, and perhaps for the first time since 1492, they draw proudly on their ethnic and cultural identity, often with a pointed consciousness of historical subjugation, and identification with other oppressed peoples across the globe. 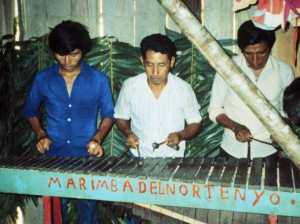 This explains the openness to pan-Latin, pan-Caribbean cultural forms in Guatemala, as elsewhere in Central America. Born in Quetzaltenango, Doctor Nativo (Juan Martínez) worked in his father's restaurant from a young age, imbibing the reggae, cumbia, salsa and bolero that blasted from its speakers. His father Arturo, a native of Cuba, welcomed the Guatemalan guerrillas who would slip into town from time to time; hence, in 1990 the regime assassinated his father, along with five of his friends. Doctor Nativo left to travel in Europe, India and Latin America, landing finally in Havana to study music at the Escuela Nacional de Arte. 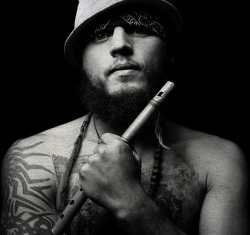 He moved on to pursue his music in Barcelona before returning in 2010 to Guatemala. On a spiritual quest, he took part in a Maya ceremony under the tutelage of an indigenous elder, encountered his animal spirit or nahual, and began seeking to incorporate Maya culture and cosmology into his music. 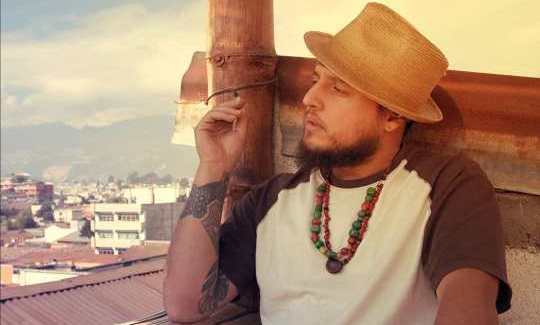 He founded Balam Ajpu, a group popular in part for rapping in T'zutuhil Maya, and in 2012 began working with Belizean producer Ivan Duran, known for producing Garifuna artists Andy Palacio, Paul Nabor and Aurelio Martínez among others. Backing Doctor Nativo (lead vocals, acoustic guitar, percussion, sound effects) are several stalwarts from Duran's Garifuna work, including Guayo Cedeño (lead guitar), Joshua Arana (Garifuna percussion), Al Ovando (Maya guitar), Chela Torres and Rosa Bermudez (whose unmistakably Garifuna chorus opens the cumbia "Ay Morena"), and Duran himself (electric guitar and bass). Rounding out the crew are rapper M.C.H.E., singer José López, multi-instrumentalist Danilo Rodríguez (marimba, trombone, cuatro, charango, harp, bass, chirimilla, backing vocals), Juan Chacaj (xirin or Maya fiddle), Carles Estruch (sousaphone), Sebas Sax (saxophone), Eduardo Santella (drums) and Eli Levinson (samples and programming). Guatemaya is a play on the country's name ­ a pointed assertion of the indigenous presence that long preceded the Spanish conquest. 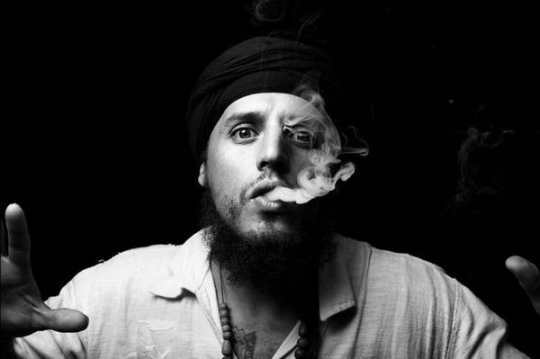 The lyrics of the opening title track, a reggae-cumbia, feature Maya rapper Tzutu Kan and speak to the political core of this project. It helps to appreciate the historical context outlined above, as well as the cultural and spiritual significance of copal (also known as pom), the resin of the tree of the same name, burned ceremonially as incense since pre-Columbian times. From when I was a boy, in school they talked about the "glory"